We value our loyal customers and would like to reward them. That is why you receive a savings point worth € 1 each time you spend € 25. Each shopping basket will indicate how many loyalty points you will receive with your order. 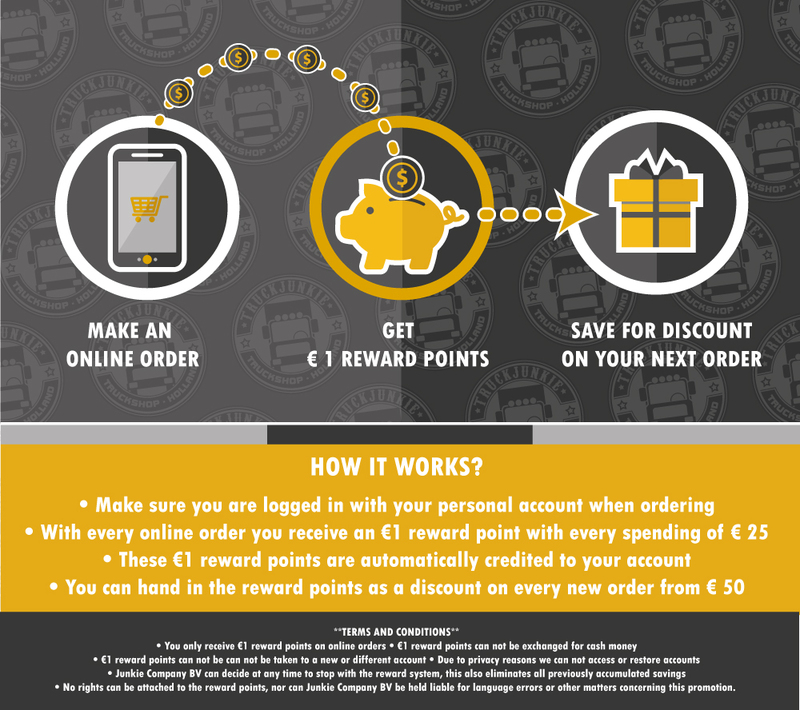 After each order, these loyalty points are automatically credited to your account. What should you do for this? Almost nothing! You only need to have an account and be logged in when ordering. The saved points can be exchanged for each subsequent order.